What spaces do you want to include in the project? What types of activities will you do in the space? What are your design preferences – style, color, etc.? What is your timeframe for completing the project? How will we best work together? Photos of spaces or design elements that you love, and those that you don’t like help to clarify your design preferences. We review and discuss your collection of magazine clippings, example images, and snapshots to help set the direction for the design style. 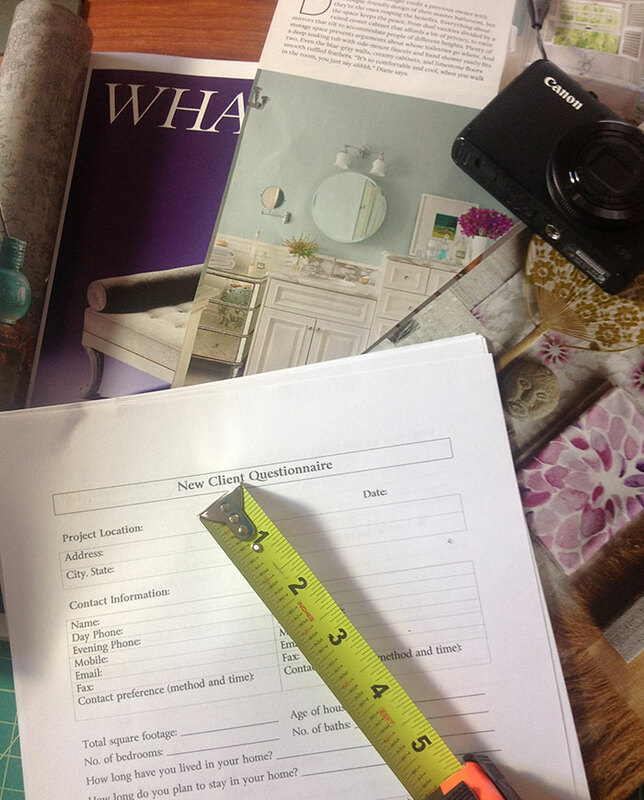 Detailed measurements are necessary to properly plan the layout of your space. We photograph the space and measure the dimensions of each room, along with all windows, doors, electrical outlets, obstacles, etc. in preparation for planning the appropriate sizes and positioning of furnishings, cabinetry and lighting.